The Daily Mail is not responsible for the pictures, captions and title of this tightly condensed article. For this I accept full responsibility. This is my edited abridgement of two separate articles by Richard Littlejohn in the Daily Mail: the first published on 15 March and the second two days ago when the full impact of the Brexit betrayal of the British people by their Prime Minister had become more sickeningly clear. The headlines in this morning’s newspapers say it all. Today is March 29, 2019, the day we were meant to leave the EU for good. We haven’t. We’re still stuck in the EU and likely to be stuck in it forever, if our anti-democratic MPs have their way. “ONE LAST CHANCE!” the Daily Mail cries. “DARKEST HOUR FOR DEMOCRACY!” the Daily Express screams. “THE DAY OF RECKONING,” the Daily Telegraph howls. These two articles by veteran Daily Mail columnist Littlejohn are the most eloquent and outspoken articles the reader is likely to come across anywhere in the mainstream press concerning the treachery and duplicity of this walking catastrophe on designer heels known as Theresa May. I am as astonished, as I am delighted, to learn that the Daily Mail, a staunch supporter of Mrs May, had the courage to publish this incendiary denunciation of the Prime Minister and her Brexit shenanigans. It will give solace to the 17.4 million people who voted for Brexit over two years ago and were betrayed by the most duplicitous prime minister in British history, bar one, Tony Blair. At least Mother Theresa, to her credit, wasn’t a war criminal. She was just a cunning and consummate liar, a devious trickster, who was determined to wreck Brexit while pretending to deliver it. Emotions run high in Britain today, with the word “Brexit” on everyone’s lips. The country is indeed in a ferment, with many talking about revolution in pubs and on public transport, as the impotent masses tend to do when they are mad angry and would like to disembowel every MP in sight. I have even heard the word “guillotine” dropped into the conversation in connection with members of Parliament, certainly the most spineless and contemptible bunch of incompetents ever to attain office in this country: mercenary, two-faced, opportunistic, anti-democratic, backstabbing, treacherous, and, quite frankly, unfit to run a public lavatory let alone a country. Two of the most ardent Brexiters, the raffish Boris Johnson and Etonian toff Jacob Rees-Mogg, have recently lost the respect of their fans when both did a sudden last minute volte-face by backing the Prime Minister’s fake Brexit deal, even though both are on record as saying it was an appalling deal and that it constituted a betrayal of the 17.4 million people who had voted for Brexit over 1000 days ago. Boris Johnson had called Mrs May’s deal a “suicide vest”, yet here he was voting for it at the eleventh hour. How can you respect a man who votes for a suicide vest? And to think this engaging scoundrel could soon have his feet up on the dinner table at 10 Downing Street. As for the impeccable Mr Rees-Mogg, once seen as the nation’s Sir Galahad and rescuer from darkness, he has been accused of “sucking up” to Mrs May by suddenly voting for her pathetic deal after just telling us how pathetic it was. Not all battles, it seems, are won on the playing fields of Eton — not any more. The only MPs to retain the respect of the 17.4 million Brits who voted for Brexit are a small group of anti-Brussels hardliners of the European Research Group (ERG), known as the “Spartans”. These stalwarts have stuck to their guns through thick and thin, unwavering in their integrity, unlike the cowardly ditherers and anti-democratic creeps who did the dirty on their own people, including in many cases their own constituents, by spitting openly in their faces and stabbing them in the back. This is what a privileged education often does for you. It encourages hubris, from which nemesis invariably follows. A list of these malefactors needs to be drawn up and handed over to the next Dr Guillotine, if and when such a daunting official should be appointed by a new iron-fisted government. As a pacifist, I speak metaphorically of course, hoping it will never come to this. The entire political class have taken leave of their senses. Both during the referendum campaign and since the result was announced, their behaviour has bordered on the clinically insane. For the past almost three years we’ve been living in a Looking Glass World where, like Lewis Carroll’s Humpty Dumpty, words mean whatever the politicians say they mean. I’ve run out of invective. The bile mine is exhausted. Fury has given way to resignation and despair. We can only watch this slow-motion car crash unfold with impotent frustration. I suppose it was always on the cards that the Remain headbangers were never going to rest until they’d halted Brexit altogether. Be in no doubt that what we have witnessed is a coup against the people. There may not be tanks on the streets, but it’s a coup all the same. A few hundred MPs have decided to defy the will of the 17,410,742 British citizens who voted to leave the EU. It was the largest number of people to have voted for anything in our proud history. But the majority of ‘Hon members’ have been determined to overturn the referendum result, despite repeatedly promising to ‘respect’ it. The electorate has been treated with undisguised contempt. If they get away with it — which they probably will — Britain will have ceased to be a proper democracy. Any chance of securing a dignified exit from the EU was scuppered on Wednesday night, when MPs voted to take No Deal off the table. What’s the point of entering any kind of negotiation when your opponents know there’s no chance of you walking away without a deal, no matter how derisory? About the same as agreeing to pay a £39 billion bill up front, I guess, without knowing what you’re going to get in return. If you’re not prepared to walk away empty-handed, you’re going to get taken to the cleaners. Promises to respect the referendum result turn out not to be worth the manifestos they are written on. “No Deal is better than a bad deal,” the Prime Minister assured us. Just another meaningless, insincere pledge. “Brexit means Brexit!” she chanted. “We will leave the EU on March 29, 2019!” she swore. In the interests of gallantry, it is almost de rigueur to acknowledge that the Prime Minister has worked hard, done her best in difficult circumstances. But, as I wrote in July 2016 soon after the election, she was never up to the job. Nor was her heart in it. She capitulated to the EU’s demands from the off, drove Leave campaigners from her Cabinet, and relied on unelected civil servants resolutely opposed to Brexit to construct her ‘deal’. Worst of all, she deceived the British public, for which she deserves never to be forgiven. She’s entitled to humiliate herself, but she’s not entitled to humiliate her country. May is by no means the only culprit, though. The 17.4 million Leave voters have been comprehensively betrayed by an unholy, cross-party alliance of MPs, big business, the judiciary and most of the media. Meanwhile, Tony Blair, a former Prime Minister, has been encouraging EU leaders to stand firm against Britain. “Traitor” is a highly-charged word, but how else to describe an ex-PM conspiring with foreign powers to thwart the will of his own people? Maybe Blair still hankers to be President of Europe some day. Ultimately, however, this is about much more than just Brexit. It’s about whether we live in a functioning democracy. Right now, we don’t. Why bother with a second referendum or, even, a General Election? We’ve had both in the past three years and the politicians have simply ignored promises they made at the time. The referendum gave a clear instruction to Leave. At the election, 85 per cent of people voted for parties who promised to respect the referendum result. Yet the overwhelming majority of MPs no longer feel it necessary to honour their manifesto commitments. Once inside the Westminster bubble, they think they can behave as they like, and to blazes with the people who pay their wages. This isn’t representative government, it’s revolution. Parliament has rebelled against the people. Whatever happens now, our democracy is broken. Like Humpty Dumpty, it’s going to be a hell of a job to put it back together again. We betrayed 17.4 million people who voted for Brexit! If Theresa May had possessed a shred of decency, she should have resigned long ago. Her authority was shot to pieces after her disastrous, self-inflicted general election humiliation, which cost the Tories their majority and ensured that the enemies of Brexit would prevail. This wasn’t the action of a strong, confident Prime Minister. It was a petty, vindictive attempt at intimidation, worthy of Richmal Crompton’s spoilt brat, Violet Elizabeth Bott, from the Just William books. If Theresa didn’t get her way, she was going to scream and scream and scream until she was sick. This was the real Mrs May: aloof, stubborn, convinced of her own self-righteousness, and contemptuous of others who begged to differ. The idea that here was a woman who could unite the warring Conservative factions was palpable nonsense. She has always had a reputation for ignoring her colleagues, for treating them with lofty disdain. At the Home Office and No. 10, she preferred to defer to her civil servants rather than engage with fellow MPs. When David Davis was Brexit Secretary, she undermined him by ordering her favourite permanent secretary, Olly Robbins, a fanatical Remainer, to draw up a much softer, alternative withdrawal strategy. Her bovine intransigence and constant interference forced both Davis and his successor, Dominic Raab, to resign, along with Leave campaign figurehead Boris Johnson. To lose one prominent Brexiteer may be considered unfortunate, to lose three in quick succession looked like deliberate policy. Regular readers will need no reminding that I’ve never been a fan. Frankly, she’s a pretty hopeless politician, serially over-promoted and with an unwarranted sense of entitlement. Her reputation as a conciliator, a safe pair of hands, is laughable. Don’t forget, when Tory chairman, she labelled her own party the ‘nasty party’, a toxic tag it took years to shed. At the Home Office, she was responsible for the Windrush crisis, and scrapping the police’s stop-and-search policy, which brought us the epidemic of knife crime currently claiming teenage lives not just in London but across the country. She managed to convince herself that the main reason Leave won was because people had tired of unfettered immigration. She seems to have bought into the narrative of fellow Remainers, who hold, insultingly, that Brexit voters are all stupid racists who hate foreigners. How little she understands the people she aspired to lead. Immigration was certainly a factor, but overwhelmingly people wanted to be free of the shackles of a corrupt foreign bureaucracy, to stop paying Danegeld to Brussels, and to restore the sovereignty and independence of our proud nation. It was this total lack of comprehension which informed her inept, Quisling-style approach to the withdrawal negotiations and allowed Jean-Claude Drunker and company to run rings round her. 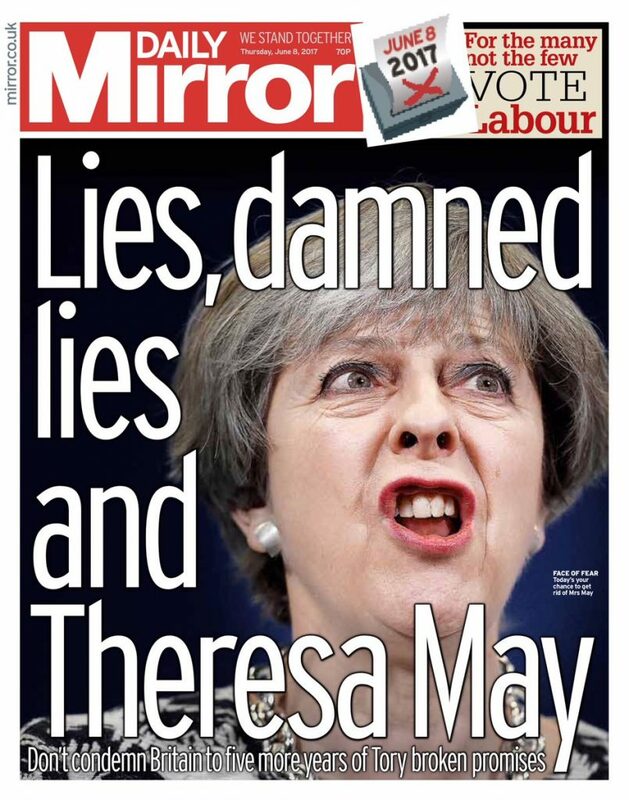 Her ‘Brexit means Brexit’ and ‘No deal is better than a bad deal’ promises proved utterly worthless. While shedding Brexiteers from her Cabinet, she tacked ever closer to those determined to overturn the democratically expressed will of the British people. As we now know beyond argument, the vast majority of the political class have worked cynically to derail our departure and to keep us in perpetuity as prisoners of a sclerotic European superstate. Perhaps all this could have been avoided if we’d had a stronger Prime Minister, one who was determined to keep her word to respect the referendum result, and not a Remainer whose heart was never in Brexit from Day One. You might not believe me, but this is a commentary I’d rather not have written. Honestly, I’d love to have been proven wrong about Mother Theresa. If she’d kept her promises, if she hadn’t lied to the British people, if she’d stood up to the EU and the wreckers of Continuity Remain, if she’d delivered Brexit, I’d have cheered her to the rafters. Her deal isn’t the deal 17.4 million people voted for by any stretch of the imagination. It’s a travesty. Whoever comes next, will have the devil’s own job trying to pick up the pieces. 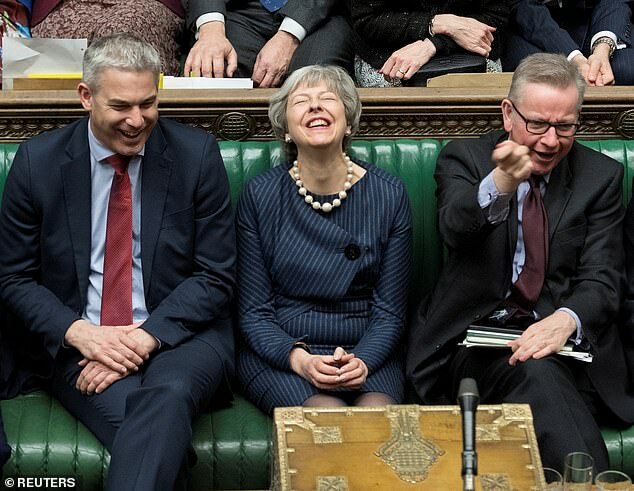 Mrs May’s legacy is to have presided over three wasted years of vacillation, obfuscation, cowardice, downright sabotage and the destruction of a once-proud democracy, where MPs used to feel honour-bound to represent the will of the people who paid their wages. Even if many others share the blame for the dispiriting, depressing, debauched state of British politics, she was the Prime Minister and she must carry the can. Theresa May, to her eternal disgrace, has turned Britain, one of the world’s greatest economies and military powers, into an international laughing stock. 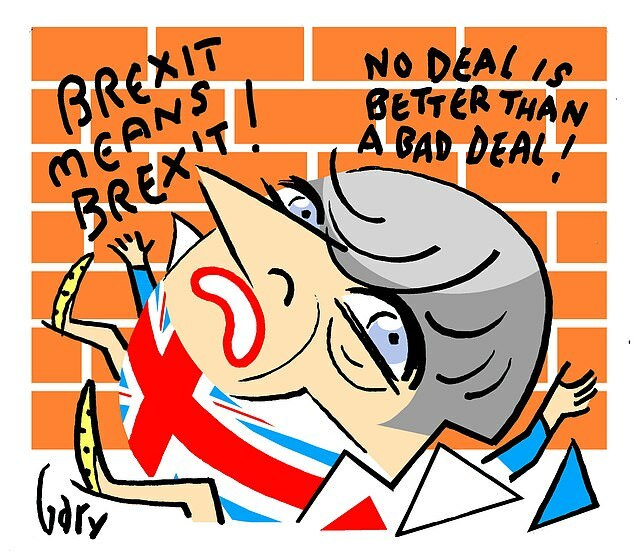 She has broken Brexit. And now Brexit has broken her. The people do not realise that Money from the USA and UK is almost entirely used by israel to rob and destroy the UK and USA. 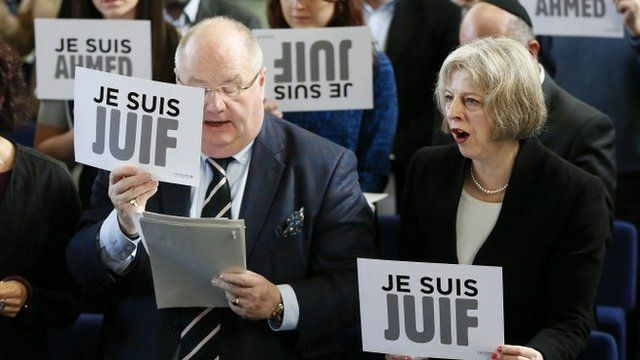 Mossad blackmails and bribes our MPs through the israel lobby, they want to put all the worlda countries into ever decreasing poweer blocks until like they have done with the eurovision song contest , israel runs it. And the Guillotine is getting more in fashion! America has a REAL French Revolution Guillotine now. I built it in 2014. It sits quietly in my yard at home! Until it becomes famous or infamous! I keep it covered with tarps to protect it from the weather and also, it frightens my neighbors since they know nothing of French History. And, it was haunted! – Leading to the Death of a neighbor! More info. avail and photos of the ghost. Call Len at 775-753-8660, or E-mail me for photos. Mrs May only did what she was TOLD to do. Now she will take the scorn and the invisibles will take the cake! The next election will see serious damage to the Conservative Party, and they will deserve it. I am a lifelong Conservative and I hope to see them, especially those supporting Mrs May, lose their jobs. I can still scarcely believe the treachery in their hearts. They have shown contempt for the referendum result. When we voted in 1975 to stay in the “Common Market” there was no attempt to overturn that result. The charge of treason is not too strong to describe what has happened. The role of the Supreme Court is also now up for discussion, investigation and, if necessary, dissolution. The people must be supreme, despite what lawyers say. The law is always based on past events and only the people can be the ultimate arbiters. Recent events have clearly shown that supreme power must not rest with MPs and Supreme Court judges. A move to the Swiss form of democracy would be a good thing. Anything that removes power from our arrogant ruling elites. Back to Brexit itself. The phrase “No Deal” should not be used, especially by the BBC and it’s “Crashing out” term. By default Britain’s foreign trade would automatically be under World Trade Organization (WTO) rules. A measured attack on Mrs May by Mr Littlejohn, hitting most of the right notes, but I feel he’s over-emphasising her as the villain of the piece. He’s totally ignoring the assistance given by the media, and especially the BBC, to the scuppering of Brexit. Without their complicity in hoodwinking the hard-of-thinking by soft interviews of remainer after remainer, and blatant bias in their news reporting and politics programmes, the British public would have been on to Mrs May a lot sooner. Where did this “deal” business come from, and the term “crashing out of Europe”? Not to mention “hard” Brexit and “soft” Brexit. Article 50 was created with one purpose in mind; to prevent countries leaving the EU, and it’s certainly worked on Britain. This could be the last days of the BBC. These could be the last days of the whole of our ruling clique. They do not seem to realize the fury of the common people they are now facing. Nothing will be the same and many of their careers will be ended. I am a lifelong Conservative but I hope to see an electoral revolution. April Fool’s Day, and our MPs are planning another vote on Brexit. They do not seem to consider that Parliament promised to implement the result of the referendum. It is as though the referendum never took place. Parliament has swept it aside and now assumes that only parliament has the authority. maybe it is True that Angela Merkel and Teresa Nat Are two of Hitler’s three Illegal Daughter’s, and that they are both Witches, and that they both Should Burn.